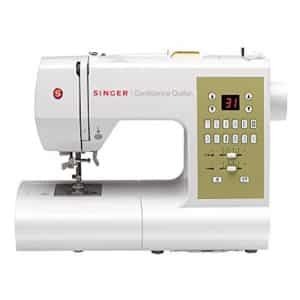 SINGER HEAVY DUTY SEWING MACHINE: The SINGER Heavy Duty 4452 sewing machine boasts an array of features that make creating elegant garments and gifts for yourself and others fun and exciting. 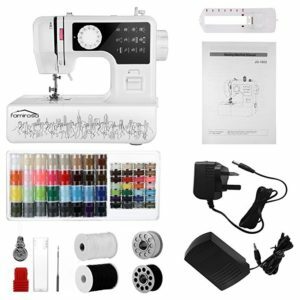 The Sewing machine with 32 built-in stitches includes 6 Basic, 7 Stretch, 18 Decorative Stitches and 1 Fully Automatic 1-step Buttonholes. 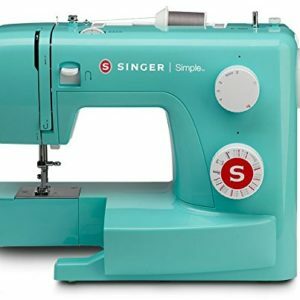 A large variety of stitches for all types of sewing and perfect for crafts, home decor, clothing construction and much more! 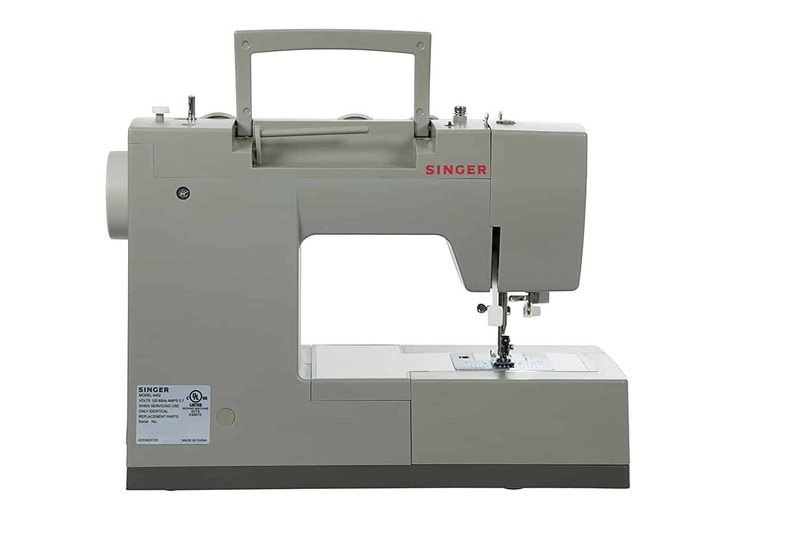 HIGH-SPEED SEWING MACHINE: The Singer 4452 sewing machine has a maximum sewing speed of 1,100 stitches-per-minute, so projects can be sewn quickly. 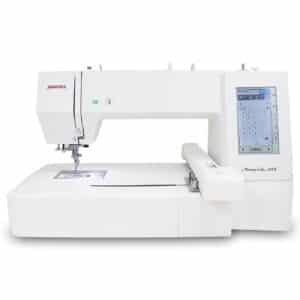 The 60% Stronger Motor than standard sewing machines allows it to sew through heavyweight fabrics with ease. 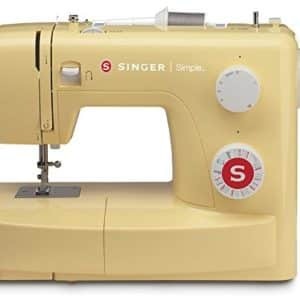 SEWING MACHINE ACCESSORIES: A variety of accessories are included with all-purpose foot, zipper foot, buttonhole foot, button sewing foot, seam ripper / lint brush, quilting guide, needles, bobbins, screwdriver, auxiliary spool pin, spool pin felt are all conveniently located and stored in the accessory tray. 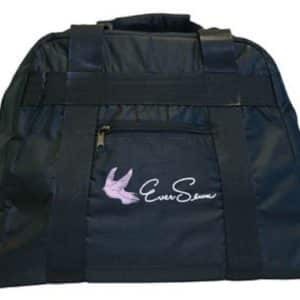 A soft-sided dust cover is also included in the packaging. 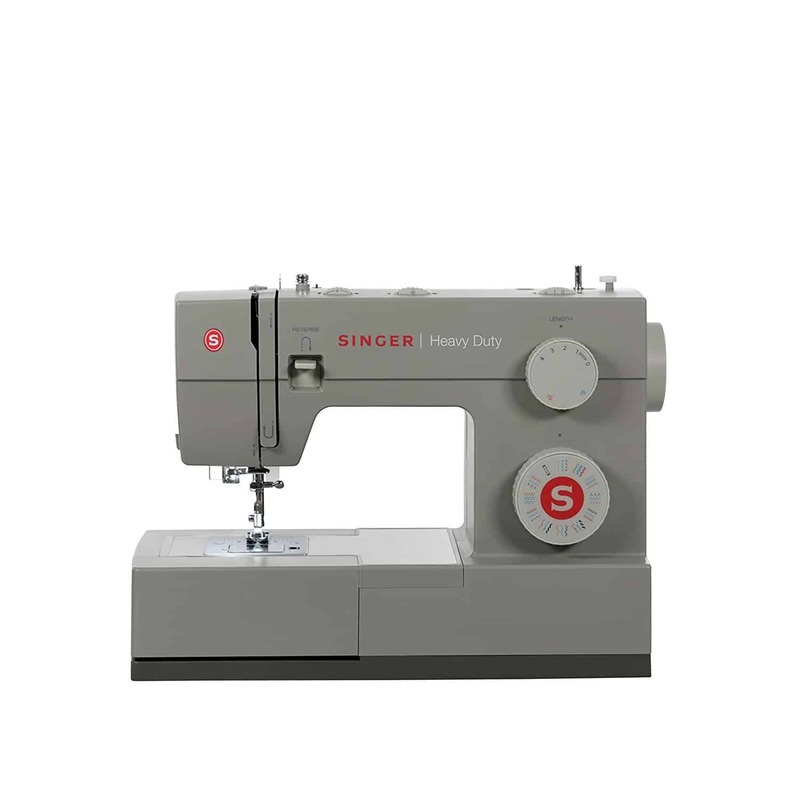 BEST SELLING SEWING MACHINE: The SINGER Heavy Duty 4452 sewing machine is a true workhorse. The stainless steel bedplate enables smooth fabric flow and the heavy duty interior metal frame ensures skip-free sewing. Top drop-in bobbin is easy to insert, remove and monitor thread supply. 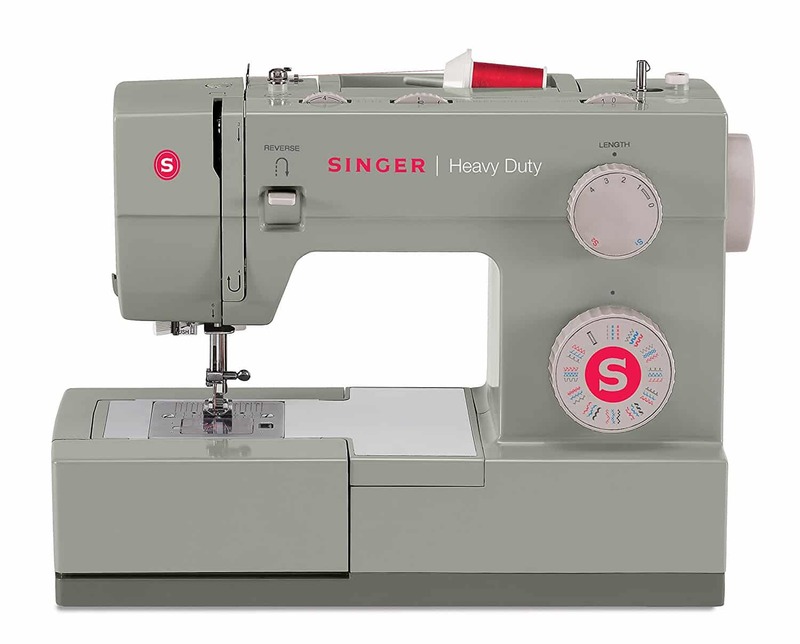 With the SINGER HEAVY DUTY 4452 sewing machine you can get professional results in no time! 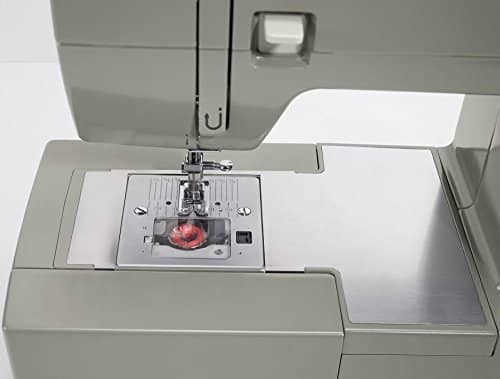 The extra-high sewing speed of 1,100 stitches per minute means you can plow through projects 30% faster than a standard sewing machine. The stainless steel bed plate enables smooth fabric flow and the heavy-duty interior metal frame ensures skip-free sewing. 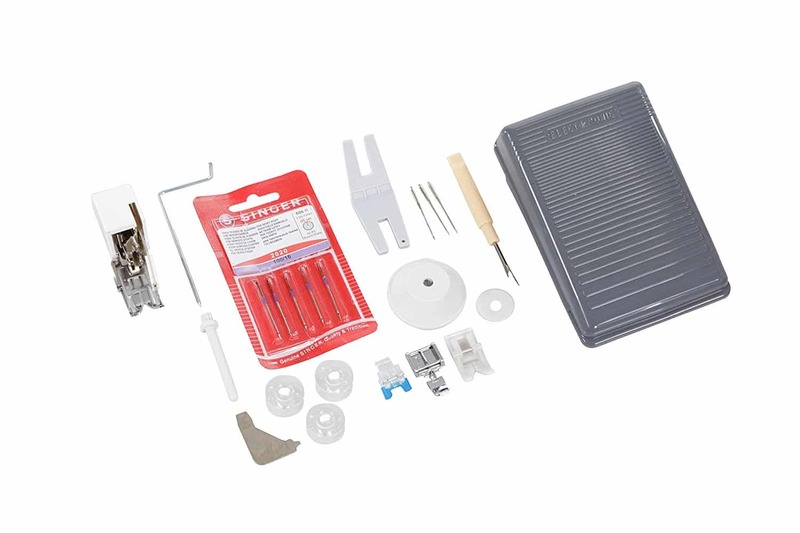 BONUS Heavy Duty Accessories! Bonus Heavy Duty Accessories Included. 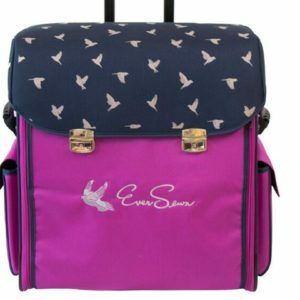 Even Feed / Walking Foot, Non-Stick Foot, Clearance Plate, Heavy Duty Needles – Size 16. 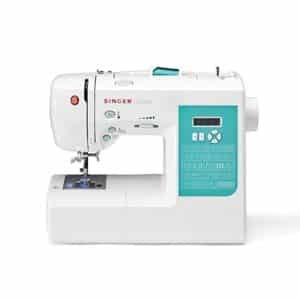 Sews faster than a standard sewing machine. 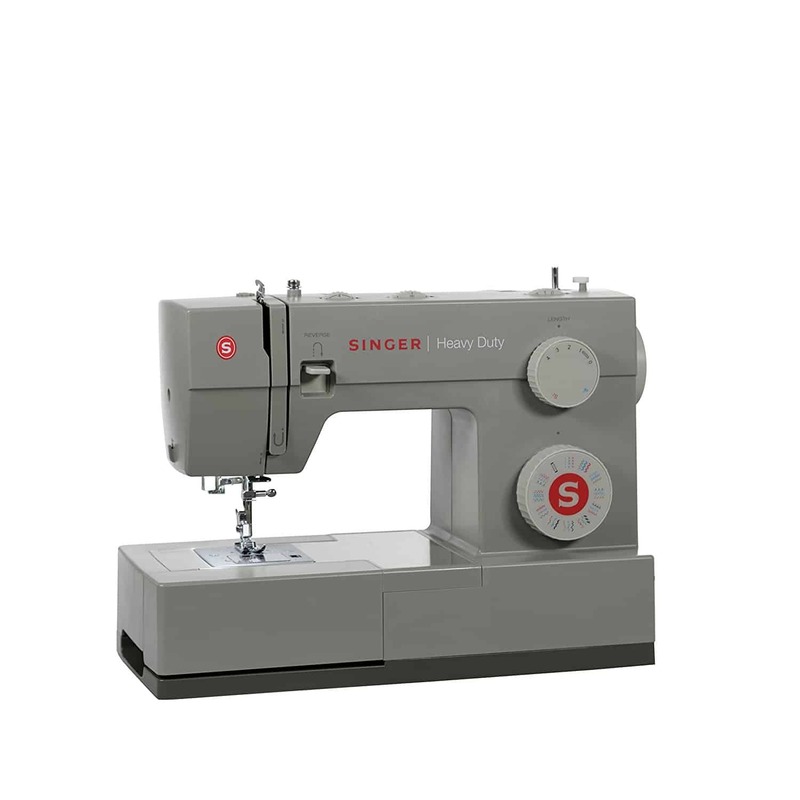 A stronger motor than standard sewing machines allows it to sew through heavyweight fabrics with ease. 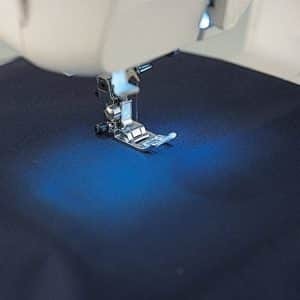 Make beautiful buttonholes automatically in 1 easy step. 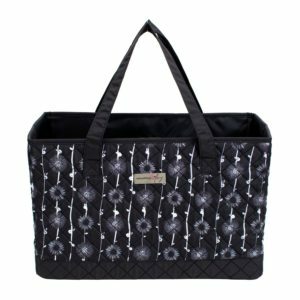 Storage of accessories in the removable sewing bed means accessories are always handy. 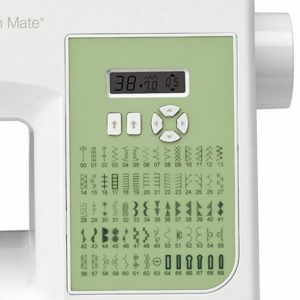 Provides professional results by offering easy access to cuffs, collars, pant hems and other difficult-to-reach areas. 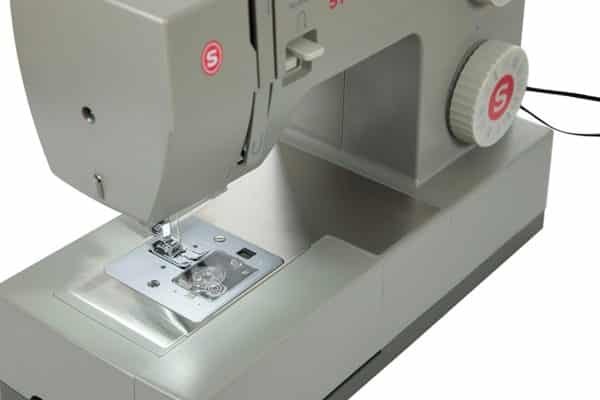 Offers more clearance for multiple layers of bulky fabric under the presser foot. Up to 6mm Stitch Width. 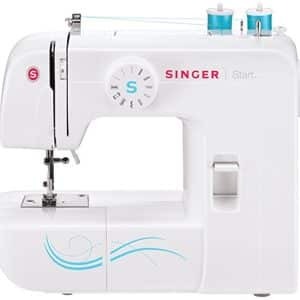 Decorative and satin stitches can be set to 6mm wide—making a bolder and more pronounced look. 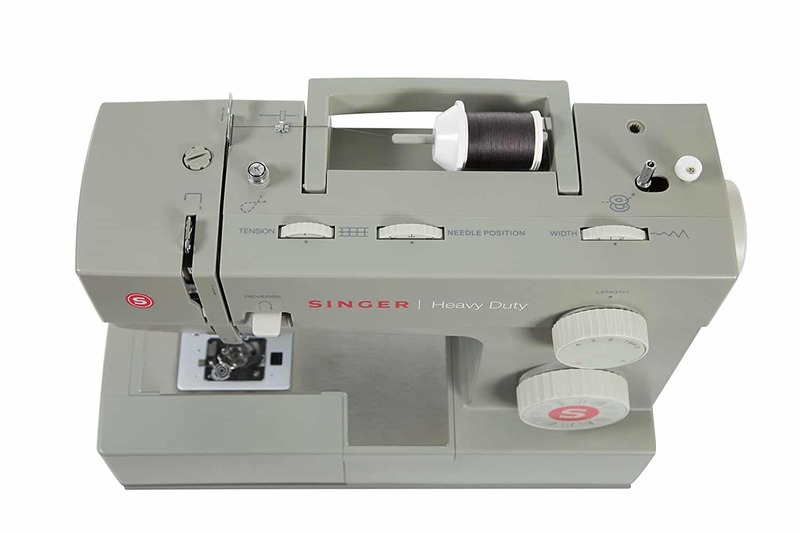 Automatically sew in reverse and reinforce stitches. 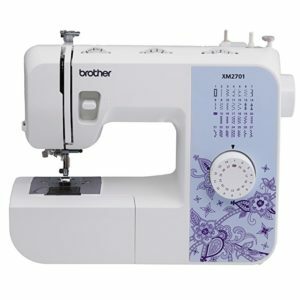 Adjust the desired stitch length by a simple turn of the dial. All-Purpose Foot, Zipper Foot, Buttonhole Foot, Button Sewing Foot, Seam Ripper / Lint Brush, Quilting Guide, Needles, Bobbins, Screwdriver, Auxiliary Spool Pin, Spool Pin Felt, Soft-Sided Dust Cover.